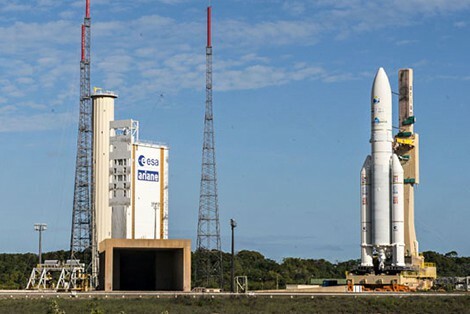 Unfavorable weather conditions over the Spaceport in French Guiana have postponed Arianespace’s Ariane 5 Flight VA221, which is to orbit a pair of telecommunications satellites: DIRECTV-14 for operator DIRECTV, and the Indian Space Research Organisation’s (ISRO) GSAT-16. A new launch date will be determined based on the evolution of weather conditions. DIRECTV-14 is designed to deliver Ultra HD and other new consumer services for DIRECTV. Based on the SSL (Space Systems/Loral) 1300 spacecraft platform with a liftoff mass of approximately 6,300 kg., it will provide service for users across the U.S. (including Hawaii and Alaska) and Puerto Rico. 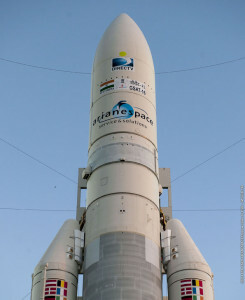 The GSAT-16 satellite – with a liftoff mass estimated at 3,180 kg. 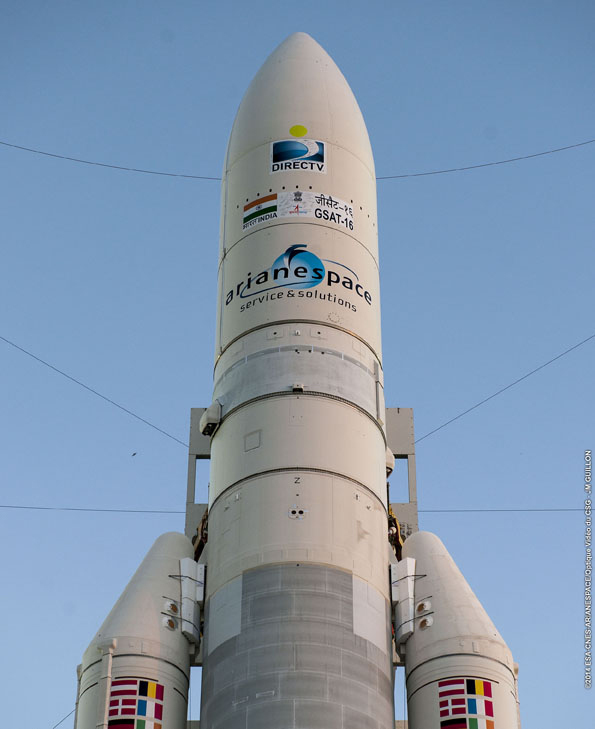 – was developed by ISRO, and carries Ku- and C-band transponders to further augment communication services across India.